Breakfast timmmme is my favorite time. Here’s a glimpse into my Tiny Kitchen this morning – I’m actually a big fan of the dreary quiet cozy mornings here in Brooklyn at this time of the year. It’s crisp cool outside, and lately, rainy too. Perfect for breakfast and coffee before heading out to take over the world, one blasted train at a time. 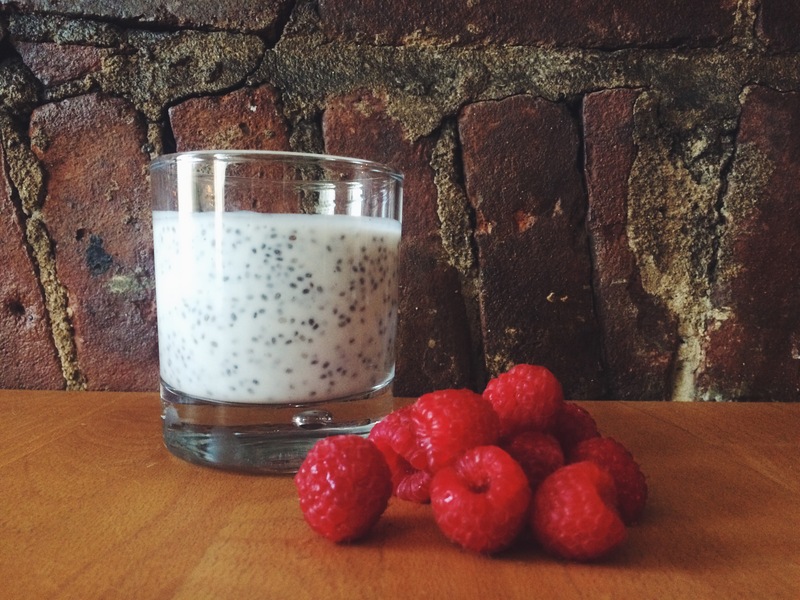 Go buy some delicious nutritious vanilla yogurt Kefir, and chia seeds. But don’t come home without fresh raspberries too, k? First! 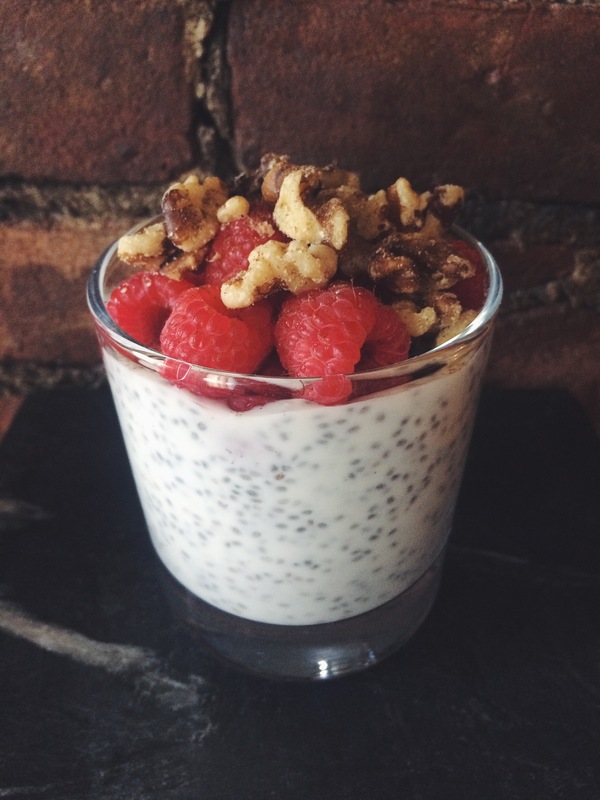 Mix the seeds into the kefir – let this sit in the fridge overnight OR for at least an hour. They plump and it’s the way they were meant to be. It’s their true purpose in life. Then! Topple the rest and add your favorite mix ins. Listen, proportions are a matter of opinion. Please do not pull out your Tablespoon to measure the granola. 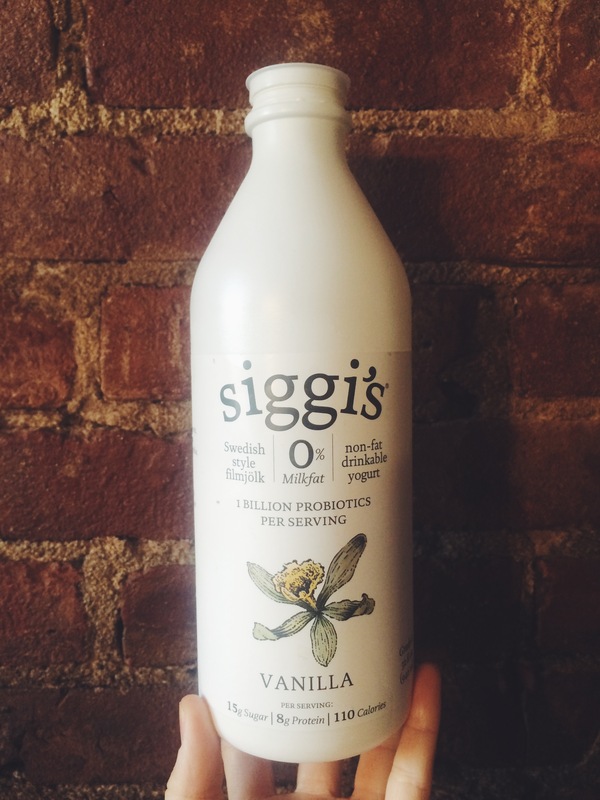 Eat a whole cup if that’s your flow – this is breakfast people. Fresh fruit is a must! After this photo was taken I also added frozen blueberries. Honestly, this photo is like a blank canvas:) Other toppings I suggest –> coconut shavings, roasted almonds, dried cherries, cinnamon, and if you’re misbehaved like me, chocolate chips YES. Morning well spent. Much love friends!